For those of you with a lump of bonus points waiting to be used, this weekend is your chance! Starting today at 1500 GMT and lasting until 28 August 2016 at 0900 GMT, we are allowing you to use bonus points to take 60% off the price of any DCS World module! We seldom have such discounts these days, so take advantage of it while it lasts. Although a detailed manual and a set of interactive training missions are included with DCS: F-5E Tiger II, the DCS World community has been doing an amazing job of creating online video tutorials of the F-5E. We continue to be amazed by the professional, and often funny, content that our community creates. We are honored and grateful for the great support! Like most DCS World modules, much of the enjoyment can be found in the learning and mastery of these amazing aircraft that are created with such precision and realism. We hope you will enjoy these videos as much as we did. Also, in case you missed it, here a great F-5E video by slamraamprod that really makes you want to learn and master the Tiger II! The last days of Bf 109K-4 video contest are upon us! 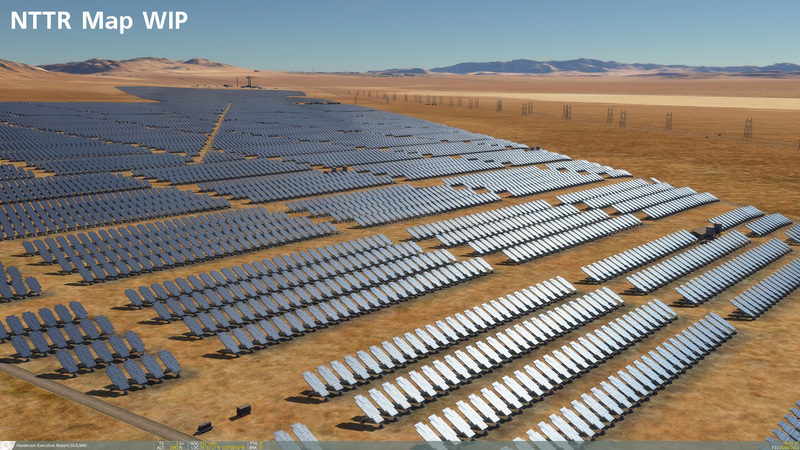 Enter now and potentially win up to three DCS modules. The contest will end on Sunday, August 28th. 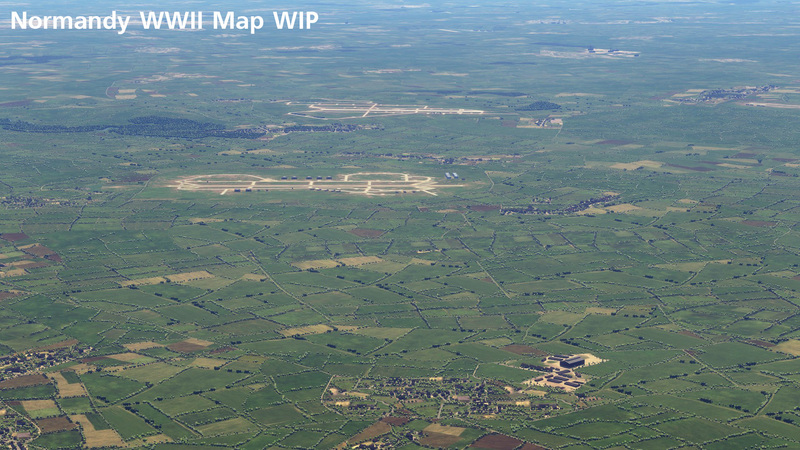 Although we started DCS World with a focus on aircraft modules, we are now adding new maps to the mix. We feel that maps are just as important as the aircraft, and they need to display the same high level of quality and span different time periods to match our aircraft. We are currently working on three maps: Caucasus map for DCS World 2.5, DCS: NEVADA Test and Training Range (NTTR) map for its final release state, and the Normandy 1944 map to support our DCS World War II series. As these projects wrap up, we will continue work on the Strait of Hormuz and other maps. We will also continue to improve our maps with new technologies that will further improve their features, looks, and performance. 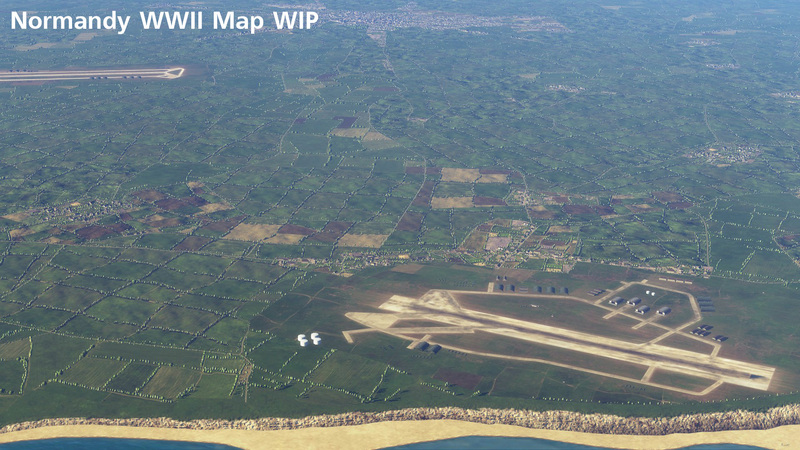 We expect to release the updated Caucuses map for DCS World 2.5, the final version of the NTTR map, and the Normandy map this year. 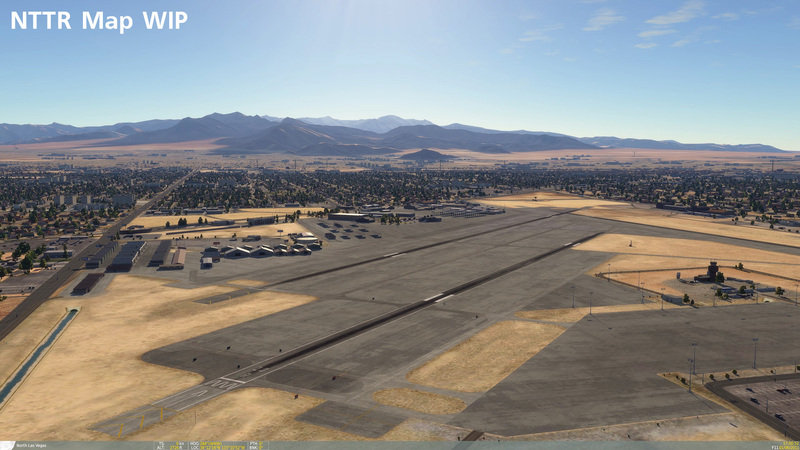 Last week we had a look at improvements for the Caucasus map for DCS World 2.5. This week we would like to share some work-in-progress images of updates to the Nevada map and some new images of the Normandy map.